Whether you’re constructing a new commercial or industrial building in the Greater Chicago area or renovating your existing facility, you will need air conditioning replacement or installation services to keep your workers and equipment cool and comfortable. In addition to commercial AC replacement services, we also offer air conditioning repair and maintenance, as well as commercial heating services. Our goal is to be your single point of contact for all your commercial HVAC system needs. To learn more about our commercial heating and air conditioning replacement and installation services in Chicago, contact Murphy & Miller today at 1-312-427-8900. Are you losing money by putting off commercial AC replacement services? If your commercial air conditioners aren’t giving you the performance they used to or have been running up your monthly utility costs, a replacement may be highly necessary. From inspecting your commercial air conditioners to see if AC replacement services are necessary to fabricating new ductwork to improve your overall HVAC system, our HVAC contractors in Chicago can do it all. We’ve been your qualified AC replacement and installation service professional since 1936! 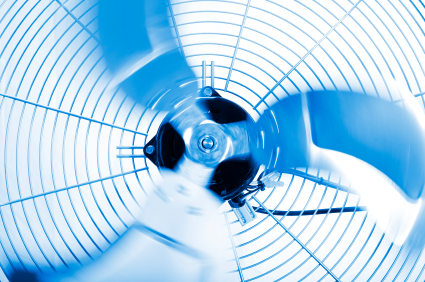 Do you need commercial AC replacement services in Chicago? Call 1-312-427-8900 or contact us today! To ensure your commercial AC installation or replacement meets your performance and comfort requirements, we design and build your system from scratch. This includes expertly crafting customized ductwork with the help of our in-house sheet metal department. The extra cost and time required to create a custom system is minimal, and the resulting performance beats that of pre-fab systems! For industrial HVAC services such as an AC replacement or installation, call 1-312-427-8900 or contact us today! Even the most sophisticated commercial AC installation eventually requires retrofitting. Whether it’s the equipment’s age or changes in the building’s cooling needs, a commercial HVAC retrofit could be just what you need. The changes you make with our help will boost cooling efficiency, lower your building’s operating costs, and make your employees and customers more comfortable. Combined with our expert energy conservation advice, you can expect to minimize costs like never before. Over the last 80 years, Murphy & Miller has built a reputation for excellence. When you choose us as your commercial HVAC contractor in Chicago, you can expect consistency and high-quality work. Such assurance only comes when you team up with a contractor that has been in business for decades. Based in Chicago for nearly a century, Murphy & Miller provides professional AC replacement and installation services throughout the areas of Arlington Heights, Bloomington, Chicago, Cicero, Des Plaines, East Chicago, East Peoria, Elk Grove Village, Evanston, Lansing, Naperville, North Chicago, Oak Lawn, Oak Park, Peoria, Rockford, Rosemont, and West Chicago, Illinois. We also service Gary, Indiana. To schedule AC replacement and installation services from a reliable commercial air conditioning contractor, please contact Murphy & Miller online or call 1-312-427-8900.